After losing her husband to illness, Mamitu was forced to beg on the streets just to buy food for her three children. 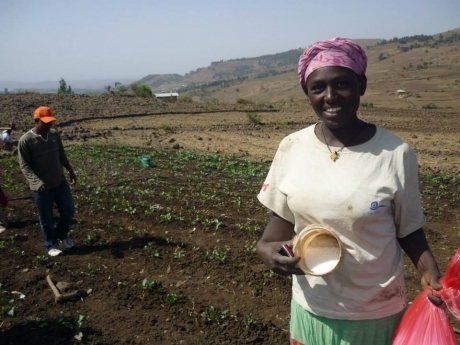 The future for Mamitu’s family looked bleak until she was approached to take part in Yenege Tesfa’s agricultural program for single mothers. She was given seeds, taught how to prepare her land, and given continuous advice on harvesting and pest management.